FREEPORT — Efficiency Maine will award Maine Coast Waldorf School in Freeport a plaque designating their new net zero high school as a certified Maine Advanced Building at 8 a.m. Friday, March 30. To achieve Maine Advanced Building certification, a building has been verified to meet the New Buildings Institute’s Advanced Buildings New Construction Guide at the tier two level. Maine Coast Waldorf School’s high school building far exceeds many of those requirements. In addition, the school recently received certification from Passive House Institute of United States (PHIUS), which is the highest voluntary energy efficiency standard in the world. The high school, designed by the architectural firm BRIBURN of Portland, is the only passive house high school in the United States certified through PHIUS. At the event, BRIBURN will present a Passive House Certified building plaque from PHIUS. 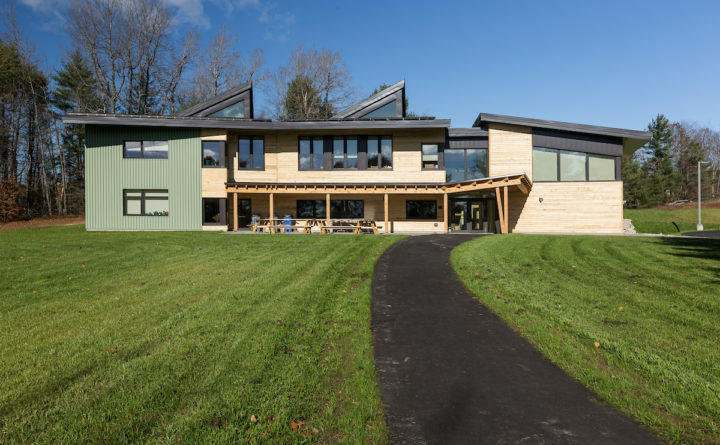 Beautiful, thoughtfully designed buildings support Maine Coast Waldorf School’s mission and the new high school embodies the school’s dedication to environmental stewardship. Founded in 1984, Maine Coast Waldorf School serves some 270 students from early childhood through high school. The mission of Maine Coast Waldorf School is to awaken the highest potential in every student by fostering clarity of thought, warmth of heart, and strength of resolve to make a difference in the world. While independent, the school is part of a worldwide Waldorf school movement that encompasses more than 1,100 schools in more than 80 countries. Maine Coast Waldorf School is accredited by the New England Association of Schools and Colleges (NEASC), the Association of Waldorf Schools of North America (AWSNA) and the Waldorf Early Childhood Association of North America (WECAN).To learn more please visit MaineCoastWaldorf.org or call 207.865.3900, Ext.103.